Situated in a rural location, this hotel is 0.8 mi (1.3 km) from Piazza delle Sorgenti and 2 mi (3.2 km) from Fortress of Tentennano. Horti Leonini and Palazzo Chigi are also within 6 mi (10 km). Situated in Castiglione d'Orcia, this property is within 9 mi (15 km) of Piazza delle Sorgenti, Baths of San Filippo, and Val di Chiana. Fortress of Tentennano and La Foce are also within 9 mi (15 km). Situated in a national park, this farm stay is 3 mi (4.8 km) from Baths of San Filippo and 5.2 mi (8.3 km) from Abbazia di San Salvatore. Collegiate Church of San Quirico and Abbazia di Sant'Antimo are also within 20 mi (32 km). Situated in Castiglione d'Orcia, this farm stay is 1.8 mi (2.9 km) from Fortress of Tentennano and 2.4 mi (3.9 km) from Piazza delle Sorgenti. Horti Leonini and Palazzo Chigi are also within 6 mi (10 km). How Much is a Hotel Room in Castiglione d'Orcia? 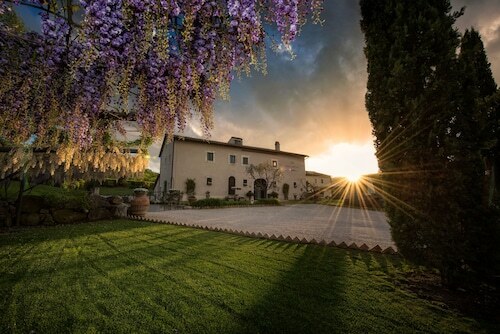 Hotels in Castiglione d'Orcia start at $83 per night. Prices and availability subject to change. Additional terms may apply. Researching adventures to Castiglione d'Orcia? There is a terrific range of rooms for visitors to choose from. Get excited comparing the 34 hotel alternatives on Travelocity, which can all be found within a 6-mile (10-kilometer) radius of the urban core. Travelocity-listed accommodations that are fairly close to the middle of Castiglione d'Orcia include the Sant'Ansano and I Tre Rioni. 3 miles (5 kilometers) from downtown Castiglione d'Orcia is the Sant'Alberto. This is a an excellent option for travelers looking for more humble lodgings. You might also like to check out the rates at the Agriturismo Grossola. 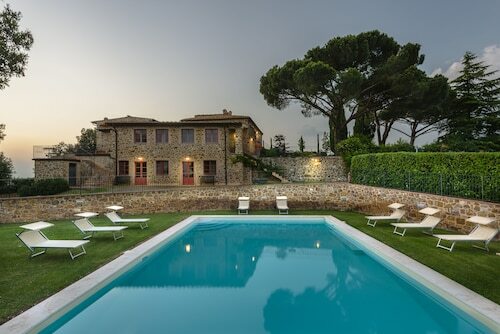 You could also check out the Castello Banfi - Il Borgo or the Rosewood Castiglion del Bosco. The Castello Banfi - Il Borgo is 12 miles (20 kilometers) away from the heart of Castiglione d'Orcia. The Rosewood Castiglion del Bosco, can be found 13 miles (21 kilometers) away. The Castello di Velona SPA Resort & Winery and the Adler Thermae Spa & Wellness Resort are alternative places to stay in Castiglione d'Orcia. After spending time in Castiglione d'Orcia, you could make the trip to uncover the other natural and cultural attractions of the Tuscany area. Tuscany is well known for its rural landscapes and beaches, and other interesting visitor places of interest include ruins, castles and traditional villages. In this area of Italy travelers might partake in snowboarding. 40 miles (64 kilometers) from Castiglione d'Orcia, you'll find Val d'Elsa, which is where you can spend the day enjoying Archeological and Collegiate Church Museum and Torre Rognosa. The Tenuta Di Mensanello and Torraccia di Chiusi are some of the Travelocity-listed hotel alternatives in Val d'Elsa. 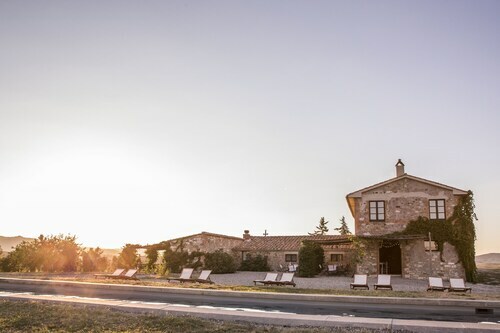 3 miles (5 kilometers) northwest of Castiglione d'Orcia, you may also choose to stay at Val d'Orcia, which boasts the Hotel Osteria Dell Orcia and Locanda del Loggiato. The Collegiate Church of San Quirico and Palazzo Chigi are other frequented points of interest to visit while in Val d'Orcia. Peretola Airport is a major entry point for arriving in Castiglione d'Orcia. It's located 60 miles (98 kilometers) from the center of town. For travelers who would find it convenient to stay in Travelocity-listed accommodation nearby, book the The St. Regis Florence or The Westin Excelsior, Florence. Beautiful location (although it was impossible to walk to town), with pretty buildings and terraces. You don't really have a sense of how the farm operates - no one was really approachable to ask, and the main staff person dyrung the day was rude to most guests, although he seemed to fawn on one family. The difference was quite obvious at breakfast.when you could observe multiple interactions.